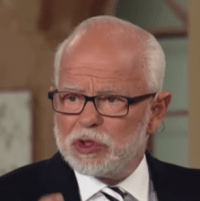 Recently on the Jim Bakker Show, on October 17, 2017, Jim Bakker decided to speak for God. During the show, Bakker berated and belittled those who dare question his authenticity as a “profit.” Baker tried defending his past pathetic prophetic utterances by declaring that “when God says something to you, you don’t always know the exact time it is going to happen.” Then he went on to declare that God gave him 31 prophetic visions. What Bakker does not mention is how many of the 31 vision he got wrong. The Bible is clear about what we should do to those who claim to be prophets of God in Deuteronomy 18:22 and get but even one prophecy wrong. While I am not advocating anyone stone Bakker, it is clear that Bakker should be removed from any form of “speaking” for God or ministry work.